BUY TICKET PACKAGES & SAVE! ​Staring, Markia Chappelle (2017 MAT Award Nominee! Major Supporting Actress,Play) and Fred Gaylean. 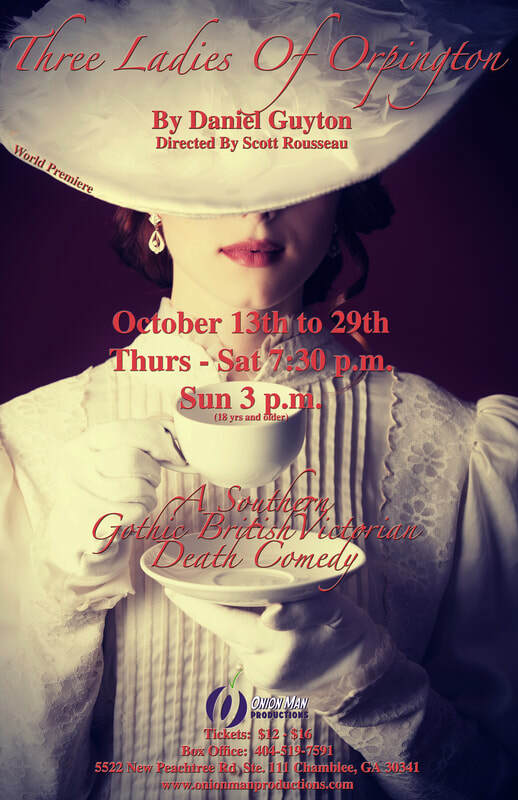 ​Thursday, Friday and Saturday at 7:30 p.m.
​Three upper crust women in Victorian Era England must face a brutal reality when the patriarch of the family passes away, leaving them with no money and with little hope for the future. When a strange man appears at the doorway, it seems that hope may be restored. Or will it only get worse from here? Sometimes the journey in life must be spelled out. 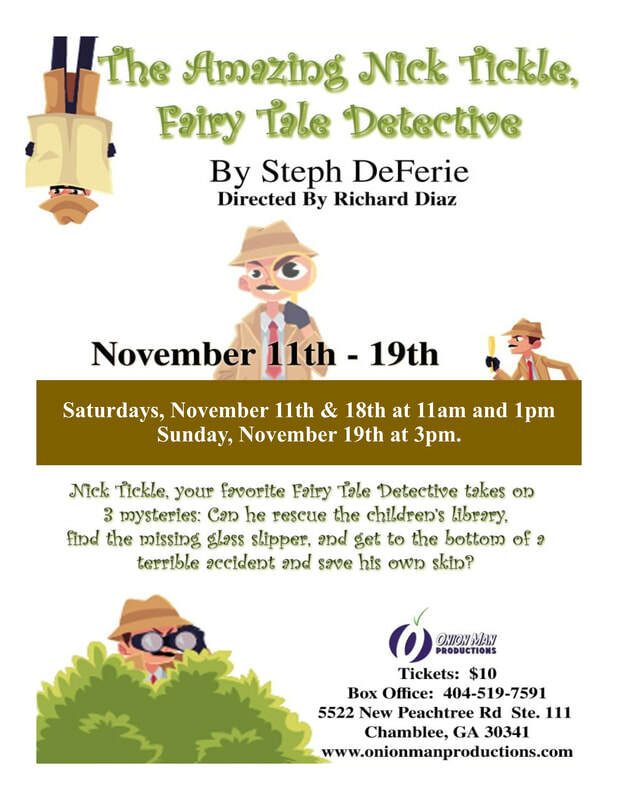 Saturday November 18th, 11:00 a.m. & 1 p.m.
Sunday November 19th 3:00 p.m.
Nick Tickle, your favorite Fairy Tale Detective takes on 3 mysteries: Can he rescue the children’s library, find the missing glass slipper, and get to the bottom of a terrible accident and save his own skin? Join Onion Man Productions as we help Nick with his adventures to solve these mysteries! A lighthearted Christmas play for adults! Bill Grenawalt has reached the top of the corporate ladder by being protective of his reputation as a solitary leader. 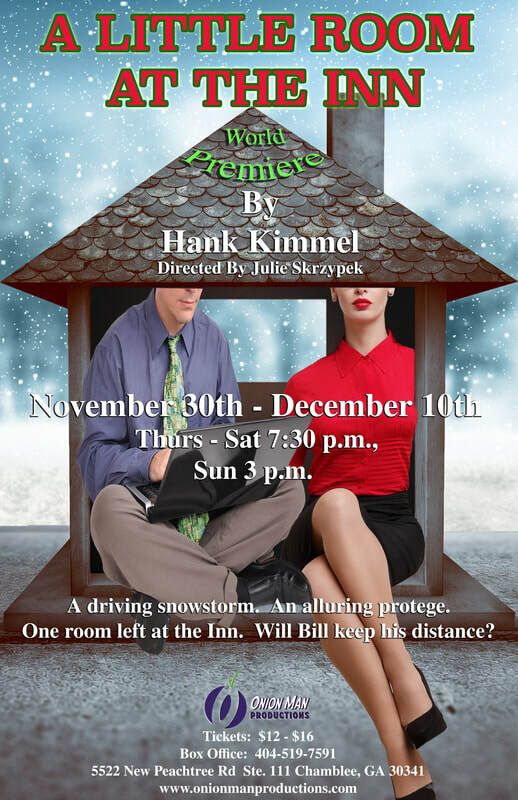 This regard is tested when Bill, who is nearing retirement, and his much younger protégé Julie Shaffer get caught in an unexpected snowstorm two days before Christmas. Desperate for shelter, Bill and Julie find refuge in the last room available at the Wake Robin Inn, a roadside motel that operates by its own set of standards. The Onion Heads return with a holiday sketch comedy special full of laughs! 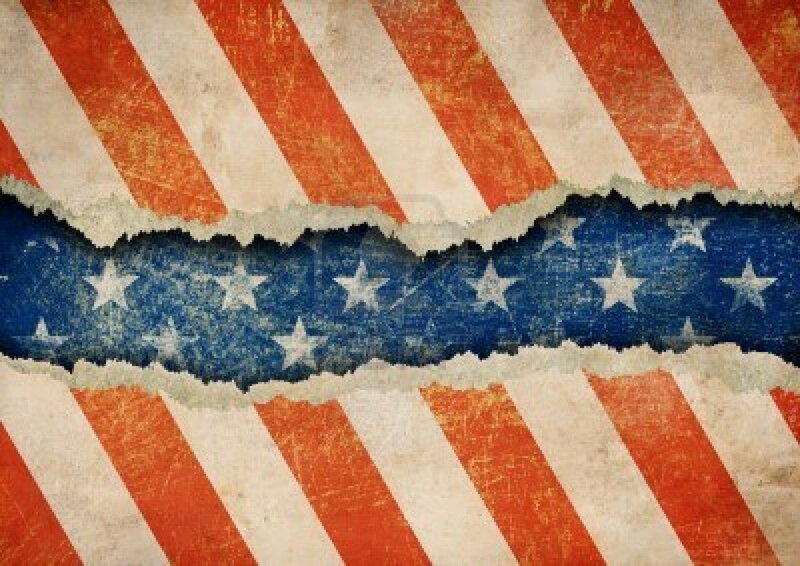 A staged reading of short plays inspired by the current politic climate. 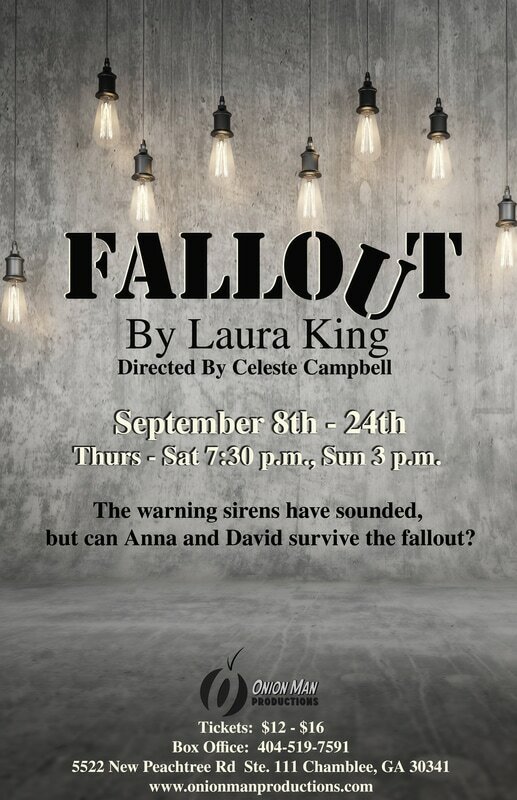 These provocative plays were curated by Laura King, an Atlanta-area playwright. King contacted several of her fellow Atlanta-area playwrights and asked them to select a protest sign that intrigued them and create a short play inspired by that sign. The evening of readings includes works from playwrights Nicole B. Adkins, Daniel Guyton, Laura King, Amina S. McIntyre, ​Daphne Mintz and Natasha Patel. The event is directed by Brandi Kilgore and features Armanio Vincent Cole, Brian Jones, Cat Roche, Celeste Campbell, Isabel De La Cruz, Jimez Alexander, Johnathan Bonds, Markia Chappelle, Mary Claire Klooster and Natasha Patel. From the playwright of the hit comedy The Love List comes the story of 4 middle-aged singles who’s love lives are stuck in a rut. Andy lacks confidence. Val is having trouble moving on from her divorce. Matt seems content with his bachelorhood. Nina doesn’t see any point in long-term relationships. When a blind date brings the four of them together, they soon find themselves forced to deal with their own relationship issues and each other. A touching romantic comedy that shows us how sometimes the only thing preventing us from finding true love is ourselves. "Looking" is presented by special arrangement with SAMUEL FRENCH, INC.
Rick is a new employee for an exterminating company. He is determined to keep his life clean as everything in his life is falling apart. 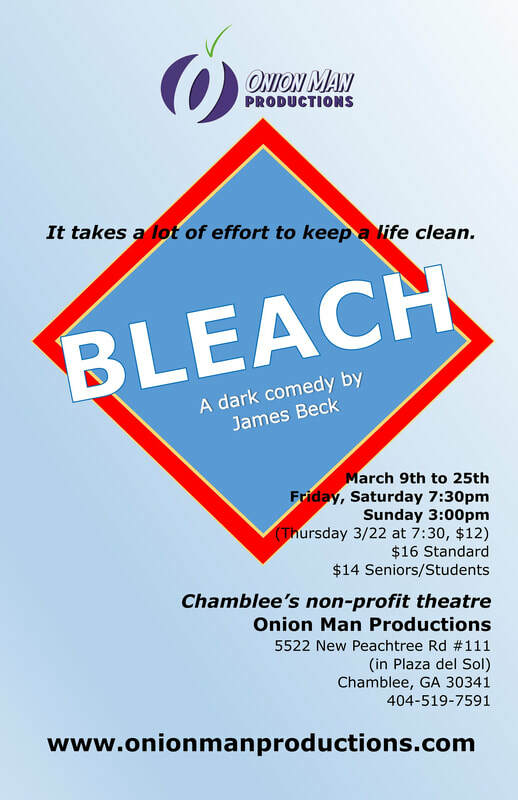 In this dark comedy, it becomes clear that it takes a lot of effort to keep a life clean. 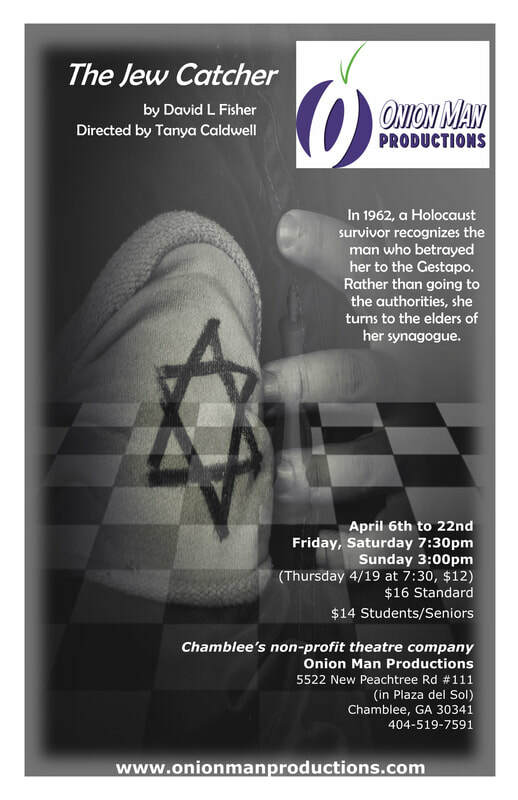 In 1962, a Holocaust survivor recognizes the man who betrayed her to the Gestapo. Rather than going to the authorities, she turns to the elders of her synagogue. 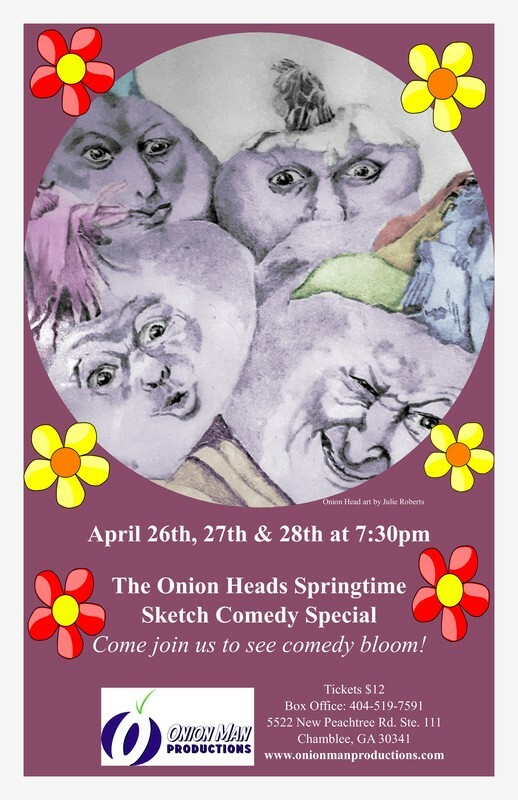 Come join us to see comedy bloom! 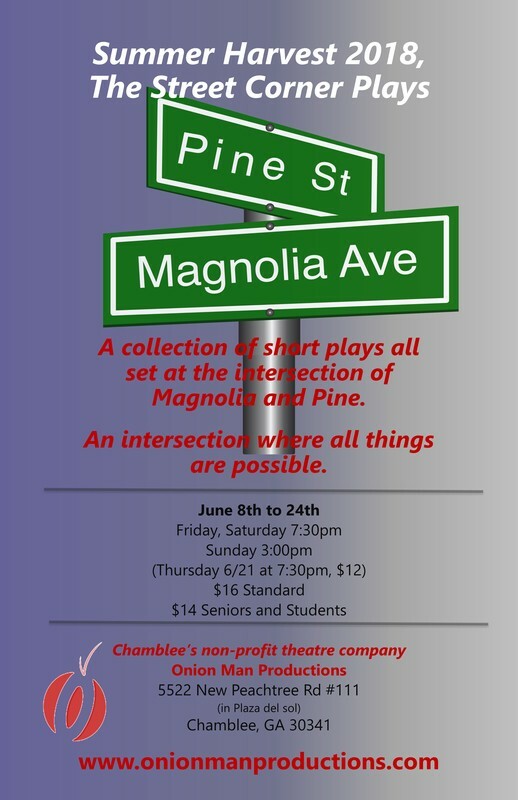 A collection of short plays set on the street corner of Magnolia St. and Pine Ave.
An intersection where all things are possible. 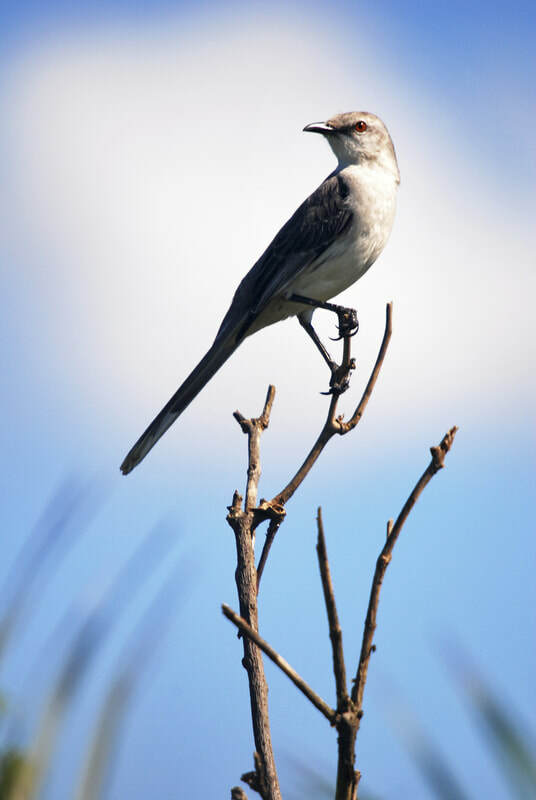 Harper Lee’s American classic novel, To Kill a Mockingbird, continues to reign among the top novels and most beloved fiction lists since its publication in 1960. The film version, too, continues to be a favorite, and the stage production can be found on stages across the country. With the passing of Miss Lee, the enigma of the author from a sleepy town in south Alabama remains. 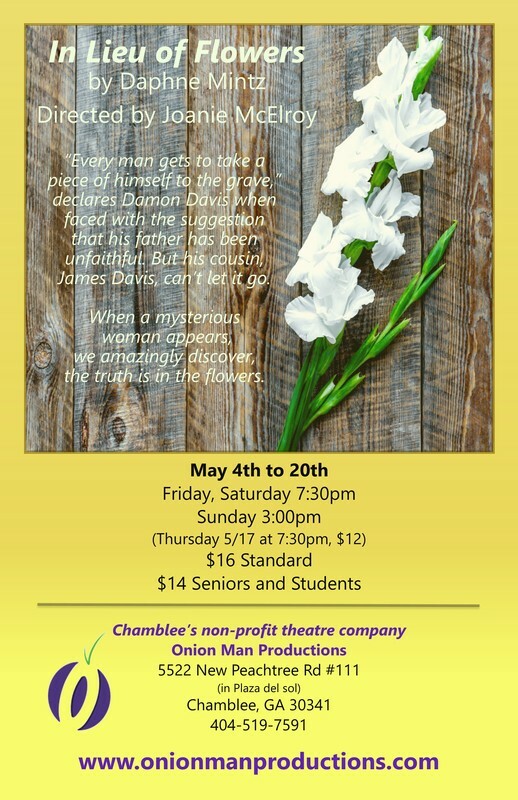 With this production, "Thus Spoke The Mockingbird," Ms. McElroy brings that sleepy town to life and gives us a glimpse into the world of its famous author as Nelle hosts us on her very own porch steps. So come pay her a visit. 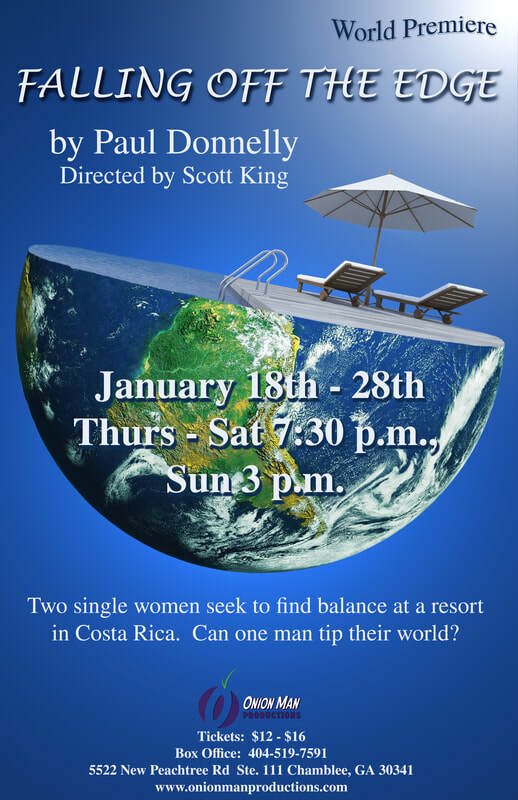 We enjoyed our Saturday night out to this community theatre to take in the Norm Forster play "Looking". Friendly people, and a great production. We will return! I have never laughed this hard while seeing theater! 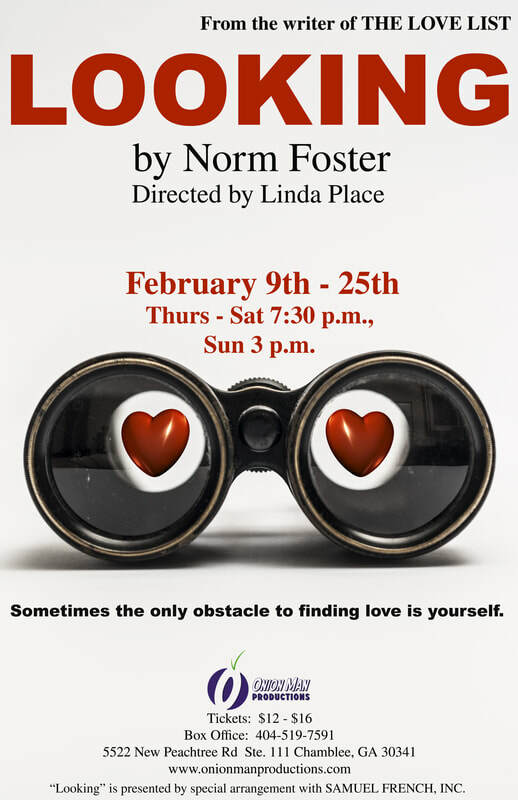 If you’re looking for a great night out - check out “Looking” by Norm Foster. You won’t regret it! ​"I thoroughly enjoyed every minute of it! 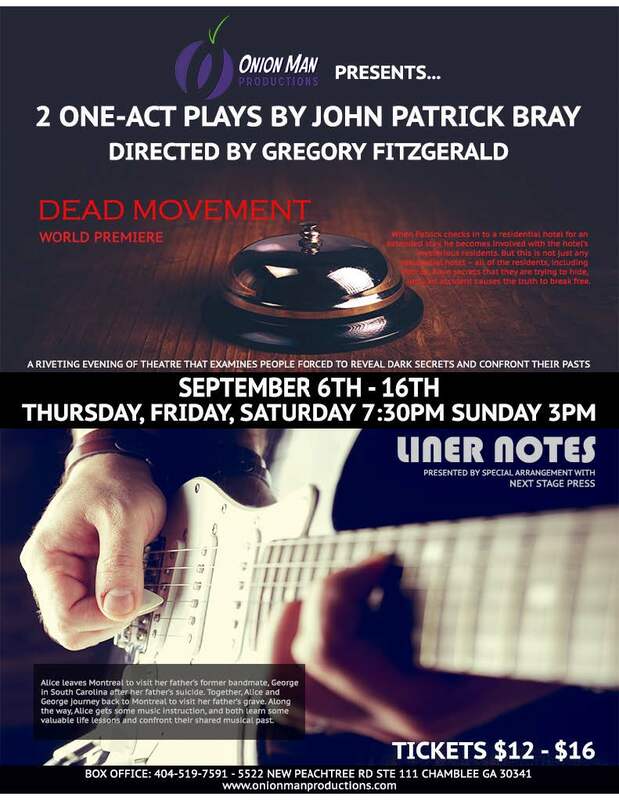 Atlanta friends - go and see some of the most talented writers, directors & actors in this show!!" 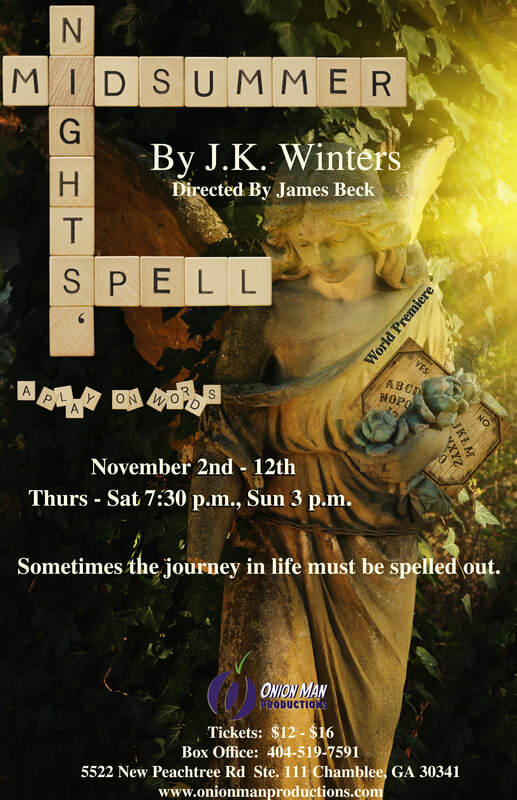 "Lots of fun and a great production. Great date night." "I love Onion Man! The space is fantastic and the way they cultivate local talent absolutely amazing!"